Please tell us if you are a domestic or international student so we can show you the right course details. You are an international student if you don’t fall under any of the domestic student requirements. We have an outstanding reputation for the quality of our teaching and world-class facilities. Learn more about why Monash is the best choice for you. ¿Por qué elegir Monash University? ¿Cómo solicitar la admisión a Monash University? ¿Cómo presentar la solicitud de admisión a Monash University? ¿Cómo solicitar la visa de estudiante? Por que escolher a Monash University? Tại sao lựa chọn Đại học Monash? How do I apply for Monash Extension? We offer one of the largest ranges of degree and double degree courses in Australia so you can match your studies to your interests, whatever they may be. Applications vary depending on where you’re from. 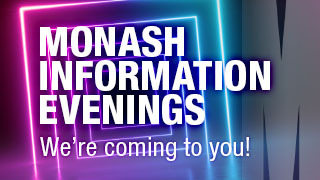 Find out more about what you need to do to apply to Monash. We have a range of pathway programs, special-entry schemes and more than 200 different scholarships to help you get the best possible start. Who is eligible for a scholarship? Discover how you can get involved in sport, social events, clubs and societies and find out more about our on-campus accommodation. We believe great research, properly applied can lead to lasting and positive change in people’ s lives. Our research focus has led to hundreds of discoveries and breakthroughs. Explore Research. Credit is the recognition of previous study or learning that can be counted towards a qualification. This can reduce the number of units required to complete a course of study. Formal learning that takes place through a structured program of learning and assessment that leads to the full or partial attainment of a recognised qualification. Non-formal learning that takes place through a structured program of learning but does not lead to an officially accredited qualification. Informal learning gained through work-related, social, family, hobby or leisure activities and experiences. Unlike formal and non-formal learning, informal learning is not organised or externally structured in terms of objectives, time or learning support. Search the outcomes of previous credit applications at Monash. Please note that the system is a guide only. A credit transfer provides you with agreed and consistent credit outcomes for components of a qualification. This is based on equivalence in content and learning outcomes between matched qualifications. Articulation enables you to progress from one completed qualification to another with admission and or credit in a defined pathway. Recognition of prior learning involves assessment of your relevant prior learning to determine the credit outcomes of your application for credit. Apply using the online credit application. Need help? See our guide to creating an application. The managing faculty will assess your credit application. Check Find a course if you are unsure who this is. a unit syllabus including the assessment requirements for each unit you're seeking credit for. 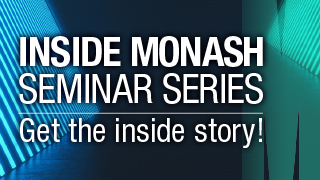 You will receive credit toward a specific Monash course. If you want to transfer to a different course, you must reapply for credit towards the new course. 20 working days for non-formal and informal learning applications. Longer periods may apply during peak admission and enrolment times. The faculty will notify all students of the outcome of their credit application by email. International students must reply to authorise acceptance of the credit. You may choose not to receive some or all of the credit you are offered. Granted toward whole stages or components of a qualification, block credit does not involve individual student assessment. It's usually arranged through a credit transfer or articulation agreement with another education provider. Block credit is given for a whole section of a course (e.g. a semester or a year of full-time study) rather than for specific units. Specified credit is granted toward core or particular components in a qualification, identified by the Monash unit code. Unspecified credit is granted toward components in a qualification where the Monash unit code is not specified. Credit is given for the credit point value and level of a Monash unit. Get all your questions answered in your local area. 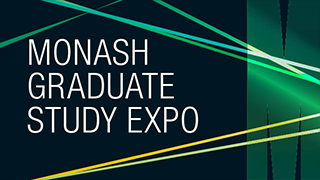 Meet our students and academics and find out what it’s really like to study at Monash. Authorised by: Chief Marketing Officer, Strategic Marketing and Communications. Maintained by: Study at Monash University Webmaster Team. Last updated: Apr 2019.